My bad, I didn't see the other post! Good to know! Am I right in saying Complement doesn't get added to modpacks too frequently? I've never seen it before. As far as balance is concerned, grout is easier to come by as the porcelain (due to the pretty big amount of bonemeal needed to create a full smelter), but I do understand that it doesn't feel like a foundery anymore if it's made out of ceramics or porcelain. Thanks for the reply tho! Report bugs to the tracker. I have never had your issue, so I am assuming it is some mod changing how buckets work, so make sure to include a full mod list in your report. This looks very nice! I wanted to post idea like this to Minecraft Forums because I need it for the modpack. I would like to suggest two items: Clay Bowl and Clay Jug. Glay Bowl is just like normal bowl with bigger durability and food from it heals twice as much (but you also need twice ingredients from tham) and Clay Jug is like normal water bottle. Also, could you please downgrade this for 1.7.10? As I said, I need it for the modpack and the modpack is for 1.7.10. For 1.7.10: no. The reason clay buckets work as they do is because of the Forge bucket changes from ~1.9. Additionally, the code is so different in 1.7.10 that I would have to rewrite everything from scratch. Sorry, but I have to say find another similar mod if you need a feature. Lastly, on to color: in most cases I left colors to only blocks because it is very messy to have 16 different items for each of the clay things. I might consider it for a buckets, but I won't promise anything as it would mess with my metadata for the unique fluid types. The reason why I came up with the idea being overpowered is because I didn't want them to be useless just like the clay jugs. I'm pretty sure clay jugs could have some"extra feature" too, but I coudn't came up with anything, just with glass bottle replacement. People long time ago actually had clay jugs and clay bowls because they didn't know how to make glass and if they would know it, it probably woudln't be that clear as we know. But since in Minecraft everythings simplier, there's no need to have clay things. Even Clay bucket! If you don't have anything like Scott's Tweaks that makes clay spawn all over the world or something like Ex Nihilo give you option to make clay manually, than clay is pretty hard to find than you are going to get iron everything faster than just a pile of bricks. Sad that there will be no backport. Clay things could be very very nice addition. 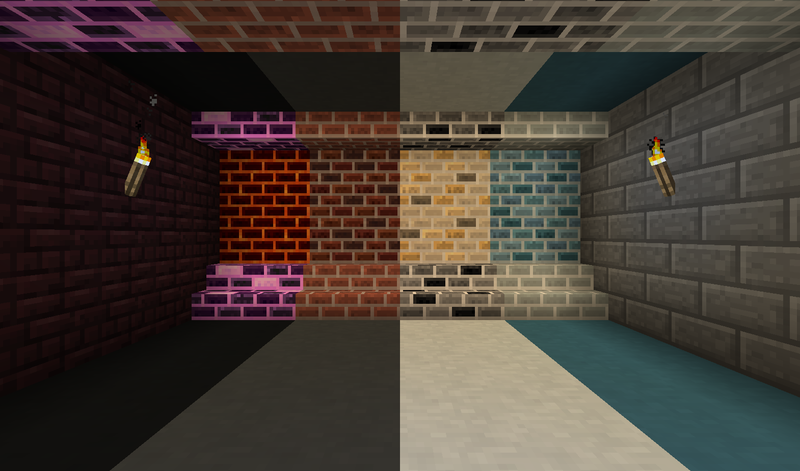 And colors, I came up with the idea of making things colorful is because as you probably know, hardened clay can be colored into other colors, it's not a necessary. How do I make the water barrels? Other than that, this mod makes my game so much better. 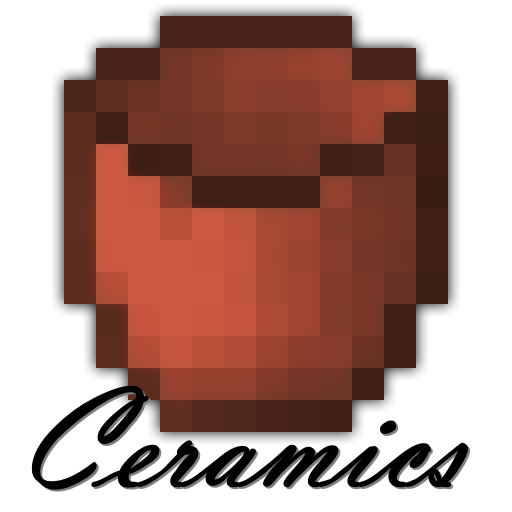 Barrels can be crafted using the recipe shown in JEI (six clay in a Y shape if I remember correctly), though if you are playing in the SkyFactory pack the feature is disabled. Light blue porcelain's name is glitched. "Glitched"? In what way? Please report this with more details to the issue tracker. Is there any way to get the ceramic barrels to work with Tough As Nails? Whenever you draw water from them into a bottle, you get clean water, when it should be dirty. That should be the right tag to indicate a water bucket, right? With no damage (no special fluid) and with FluidName: Water and Amount: 1000? Yet, JEI doesn't recognize it -- I've searched through the forge source and yours to try to make sure I have the right tags. More than that, once I register it as "ore:listAllWater" now an empty clay bucket is treated the same as a full one, and can be used as a substitute. This may simply be a bug or limitation of crafttweaker, of course, but I have no sure way of knowing that. To the first, it is a tough as nails issue. The barrel is a generic fluid tank, so if they are changing how water functions it is on them to properly replace water. For the second part, I can look into it, but I am not entirely sure the oredictionary supports NBT. People should really be using the fluid registry for recipes using fluids, Immersive Engineering does this and my clay buckets are fully compatible to make treated wood. Thanks for responding. I suspected as much, and I'm going to go out on a limb and guess that immersive engineering tanks are also not working right, then.